Do you need a fetal distress lawyer? Fetal distress is not a specific condition or problem. It is a term that indicates that the fetus is unhappy during the delivery process and may require assistance from the healthcare professionals attending the delivery. Many babies are successfully delivered without injury after showing signs of fetal distress. Unfortunately, sometimes, fetal distress is a sign of a serious problem. If your baby was seriously or permanently injured during delivery, then you may have a valid medical malpractice claim and should consult a fetal distress lawyer. Possible birth injuries include cerebral palsy, brachial plexus palsy and even death. Signs of fetal distress include an irregular, unusually low or unusually high fetal heart rate, signs that the fetus has had a bowel movement while still in the uterus, or excessive bleeding from the mother. If your child was born in a hospital, it is common for the nurses to monitor the fetal heart rate regularly throughout labour and delivery. Keep in mind that just because your child showed signs of fetal distress during delivery does not mean that you have a medical malpractice claim or that you need a lawyer. A claim for medical malpractice depends on how the doctors and nurses detected and reacted to signs of fetal distress, as well as the injury suffered by the fetus. If the fetus showed signs of distress because she did not receive enough oxygen during the delivery, cerebral palsy or death may have resulted due to a lack of oxygen reaching the brain. Fetal distress may also indicate that the fetus has become lodged on the mother’s pelvis, which is known as shoulder dystocia. This can cause serious injury to the brachial plexus nerves in the fetus’ shoulder if it is not properly detected and dealt with by your doctor or midwife. In order to prove a claim for medical malpractice related to fetal distress, your lawyer must show the court that a healthcare professional either failed to properly detect the distress, or failed to react appropriately, and that your child was injured as a result. If you are concerned that medical malpractice may have played a part in your child’s birth injury, then consult an experienced fetal distress lawyer right away. Your lawyer will know how to put together the medical evidence necessary to analyze and prove your case. 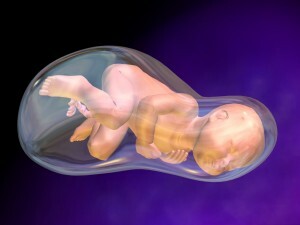 Your child’s future may be at stake so contact a fetal distress lawyer today.